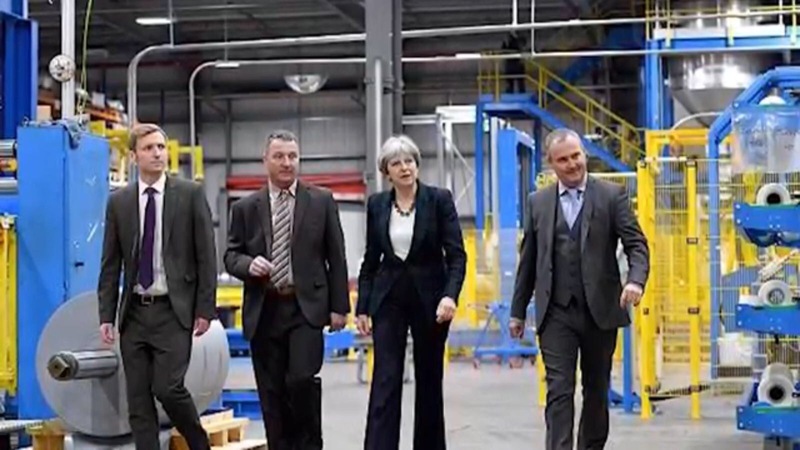 Prime Minister Theresa May visited the single ply roofing membrane manufacturer IKO Polymeric’s production facility in the old mining town of Clay Cross, on the 27th of May along with the newly-selected Conservative Party candidate Lee Rowley. 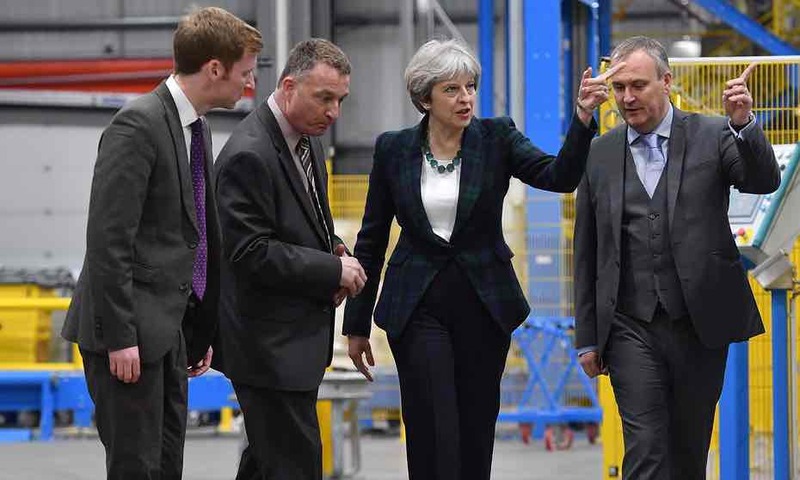 Her visit was a part of the election campaign and focused on Brexit discussions; such as the current impact of Brexit on the UK manufacturers and the importance of getting the best deal for the UK economy. She was also very keen to hear about IKO Polymeric’s booming success in export markets, including a 30% increase in 2016 sales. 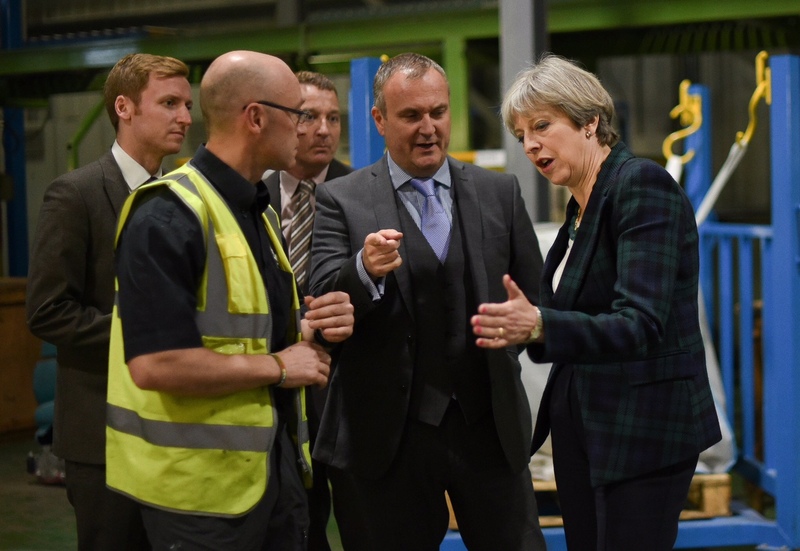 The Prime Minister arrived at IKO Polymeric’s premises at 3 pm, starting with a meeting with the Managing Director Anthony Carlyle and Divisional Director Dave Embery to discuss the expectations of the business from a strong government. After meeting the office staff, she headed down to the production for a full factory tour. 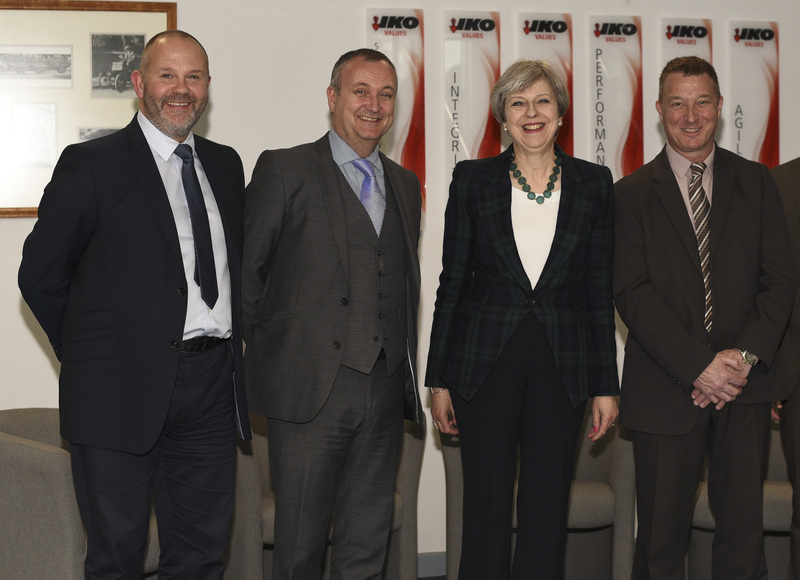 She showed great interest in IKO Polymeric’s lean manufacturing processes and took the time to ask the machine operators questions about their roles. She was also impressed with the company’s contribution to the local economy; having found out the majority of the workforce was local, living within only a few miles radius. The company’s apprenticeship schemes, that were designed to encourage young people to build a career in the construction industry, were also a part of the discussions along with the government’s construction targets. During her visit, Therese May also conducted a TV interview with local and national news outlets, to answer questions about some key issues in the constituency and a few affecting the country, such as the Brexit negotiations, national security, the effects of HS2, and the forthcoming general election.